Leather Seats, Heated Driver Seat, Back-Up Camera, Remote Engine Start, Dual Zone A/C, Heated Leather Seats Rear Spoiler, 4x4, Aluminum Wheels, Keyless Entry, Privacy Glass. ENGINE: 3.2L V6 24V VVT Pentastar, Stop-Start Multiple VSM System, 3.25 Axle Ratio, 50 State Emissions, Dual Bright Exhaust Tips, 3 Additional Gallons Of Gas, POWER FRONT/FIXED REAR FULL SUNROOF, TRANSMISSION: 9-SPEED 948TE AUTOMATIC 2 SPEED PTU Active Drive II Badge, Electronic Range Select, Jeep Active Drive II, Hill Descent Control, Off Road Suspension, SAFETYTEC ParkSense Rear Park Assist System, Blind Spot & Cross Path Detection, RADIO: UCONNECT 8.4AN AM/FM/SXM/HD/BT/NAV SIRIUSXM Travel Link, (Registration Required), HD Radio, SIRIUSXM Satellite Radio, No Satellite Coverage w/AK/HI, GPS Navigation, SIRIUSXM Traffic, TRAILER TOW GROUP 7 & 4 Pin Wiring Harness, Trailer Tow Wiring Harness, Class III Receiver Hitch, Full Size Spare Tire. Jeep Limited with Deep Cherry Red Crystal Pearlcoat exterior and Black interior features a V6 Cylinder Engine with 271 HP at 6500 RPM*. Serviced here. Edmunds.com explains "The Cherokee is exceptionally quiet at highway speeds. 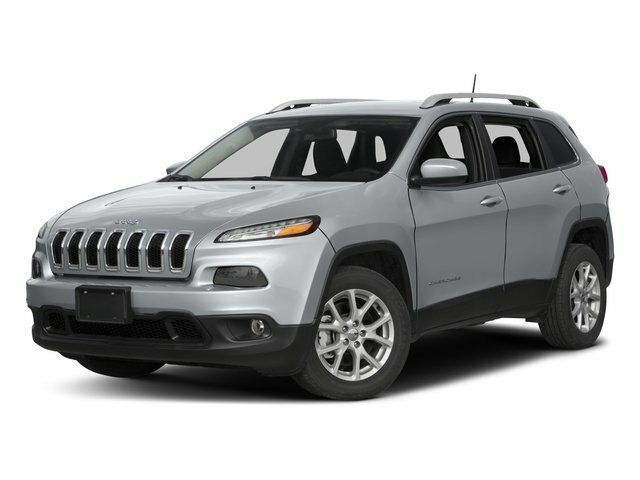 And over rough city streets, the Cherokee offers about as cushy a ride as you'll get in this class.". Great Gas Mileage: 26 MPG Hwy.